ϟ Power Rangers ϟ | Lit./Casual/Invite | Co-GM(s) Search! Good day! This is a very casual interest check for a Power Rangers RP. I do have some plot ideas in mind, but wanted to test the waters here to see if I could find someone (or someones) that would be willing to work together in running the RP. At it's core, this will be a text-based roleplay that will be character driven. The roleplay level will borderline on advanced, so lengthy posts are welcome (but it doesn't have to be novel-sized). However, this will be a very casual game in that I don't expect everyone to post every day. Once a week is what I would hope for, but if things get very active on everyone's part, then that would be a welcome surprise! Invite-only is what I'm going for, but what this means is that you have to be accepted into the RP before you can post in the RP. Everything is simple enough, but as I stated, I'm looking to see where the interest is in regards to getting this puppy off the ground. 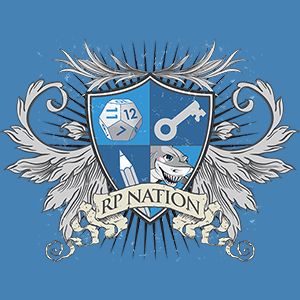 A little bit about me, I'm primarily here on RPN just to RP, but I've been roleplaying for quite some time. I'm not as skilled in the area of templates or coding, so any amount of help in that area (in beautifying this bad boy) would be greatly appreciated. I'm generally friendly and flexible, I work full time but am able to pop my head in the OOC, get posts in, or even reply on Discord (though I like to keep my personal life... personal for the most part). If you are interested or have any questions, post here, send me a PM, or we can even communicate on Discord if that's your thing. I'm hoping to have at least two other people involved in this RP, but the more the merrier! Alright, talk to you guys soon! @OGSG Hmm... I've been interested in a Power Rangers RP for a good bit of time. I've also been interested in starting one as well. I'm willing to help out as much as I am able to if you desire so. Awesome. Happy that you've taken some interest. If you are seriously interested in co-running, shoot me a PM! The RP is up! Spots are open so get those apps completed! It's a relatively simple application, but don't take it lightly. Good luck! The thread is up btw! Go check us out. This sounds quite entertaining! I’d be interested in joining if you’d have me that is! Consider filling out an app! Of course! What roles are open if you don’t mind me asking? Any except for Red or Green at the moment!